John Maduros is the Chief Financial Officer of True North.  Mr. Maduros is responsible for overseeing True North’s financial operations, cash management and long-term financial growth. With more than 27 years of experience in the fields of accounting and finance, he has been responsible for negotiating the disposition of real estate portfolios, performing due diligence for new acquisitions, financing lines of credit and restructuring debt. Mr. Maduros has extensive experience in structuring investment ventures with the intent of minimizing income tax consequences. He has also been involved in the development and implementation of accounting departments, which include hiring, supervising and training of accounting professionals, developing policies and procedures and implementing accounting systems. Mr. Maduros has also been responsible for the Treasury function, including cash management, banking and investor relations. Prior to joining True North, he was the Chief Financial Officer for 10 years for HSA Commercial Real Estate and another six years for The Shidler Group where he was involved in cash management, tax planning, real estate financing, loan restructuring, debt procurement, acquisitions, dispositions and treasury. Mr. Maduros is a Certified Public Accountant and member of the American Institute of CPAs.